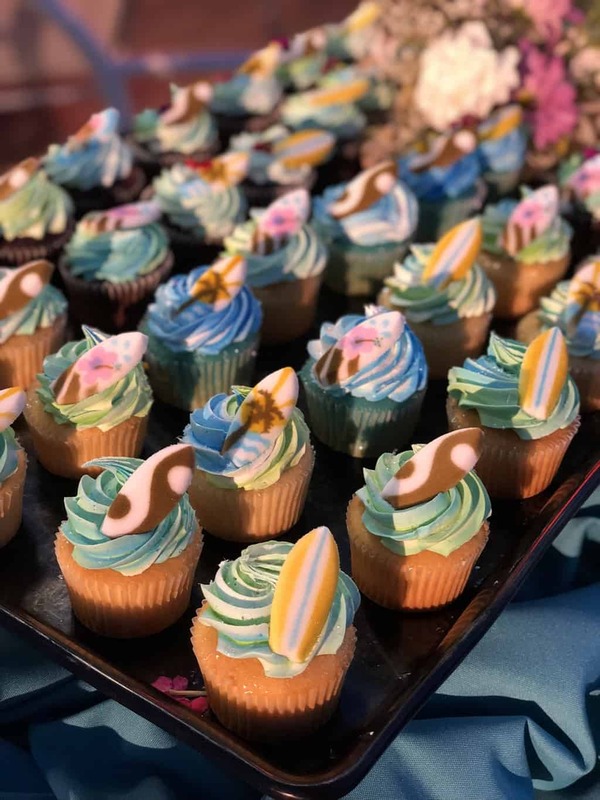 Throughout the evening, we sipped on the new HangTime milkshake made with blue soft serve ice cream and a sugar cookie, now available at Coasters Diner, and savored on a few of the delicious beach cupcakes with little surfboards on them. Aren’t they cute?!! After finishing dinner and listening to the surf band, Ride the Tide, play a few numbers, it was time to get the real party started! First, came a preview of the new Knott’s summer show to be featured at the Charles M. Schulz theater, Beach Blanket Beagle. Of course, Snoopy was front and center! 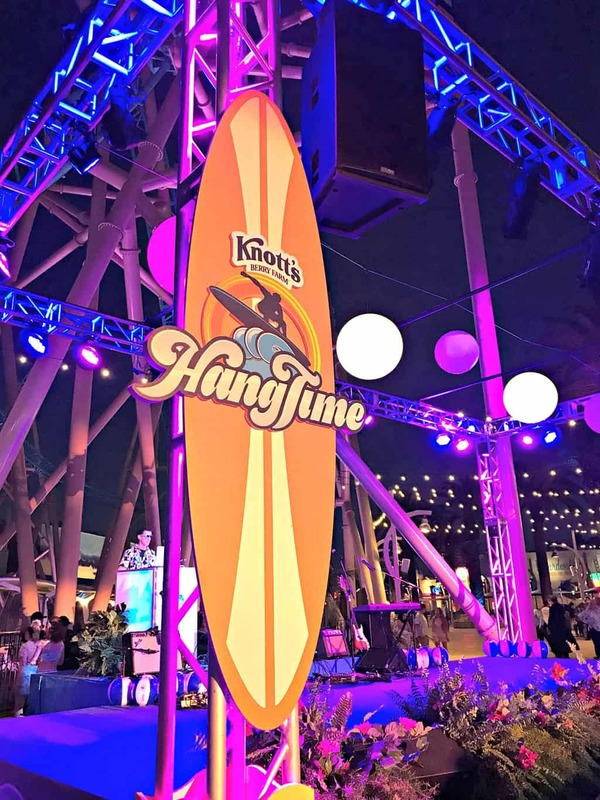 Next, Knott’s Vice President and General Manager Jon Storbeck offered some opening remarks thanking everyone involved in the production of HangTime and sharing about Knott’s upcoming summer time offerings. 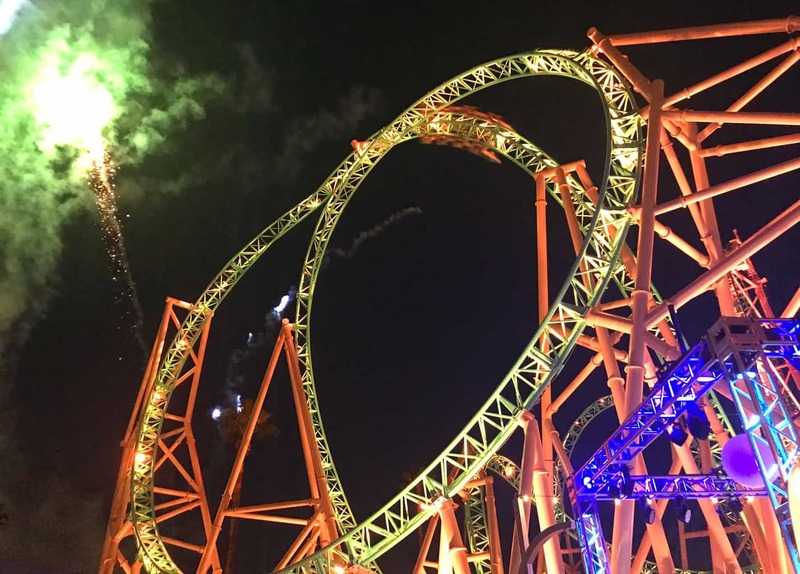 Immediately following his remarks, Knott’s lit up the night sky with a colorful array of fireworks. 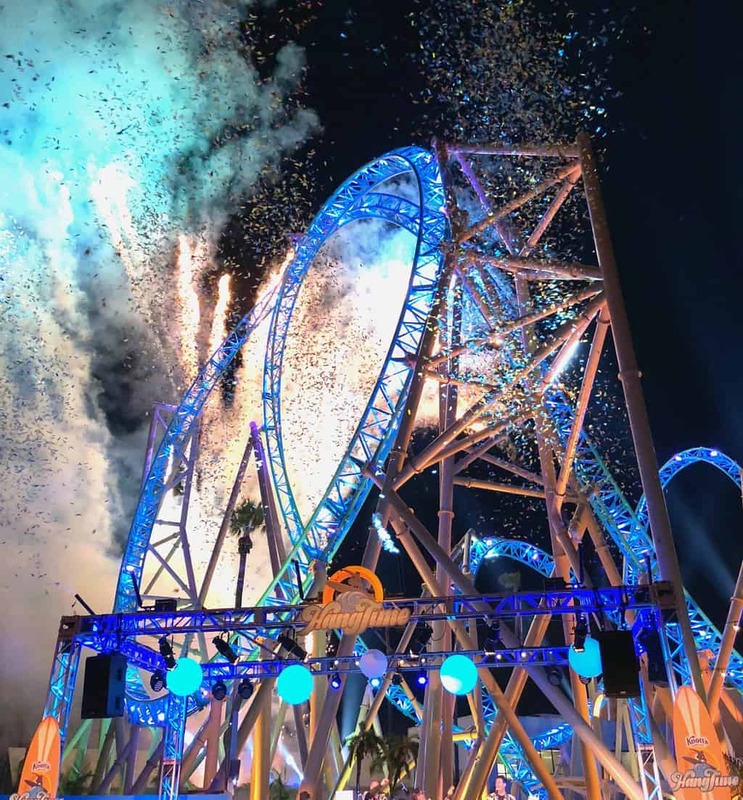 HangTime officially took off down the aqua colored tracks with accents of additional lighting programmed for the new roller coaster. 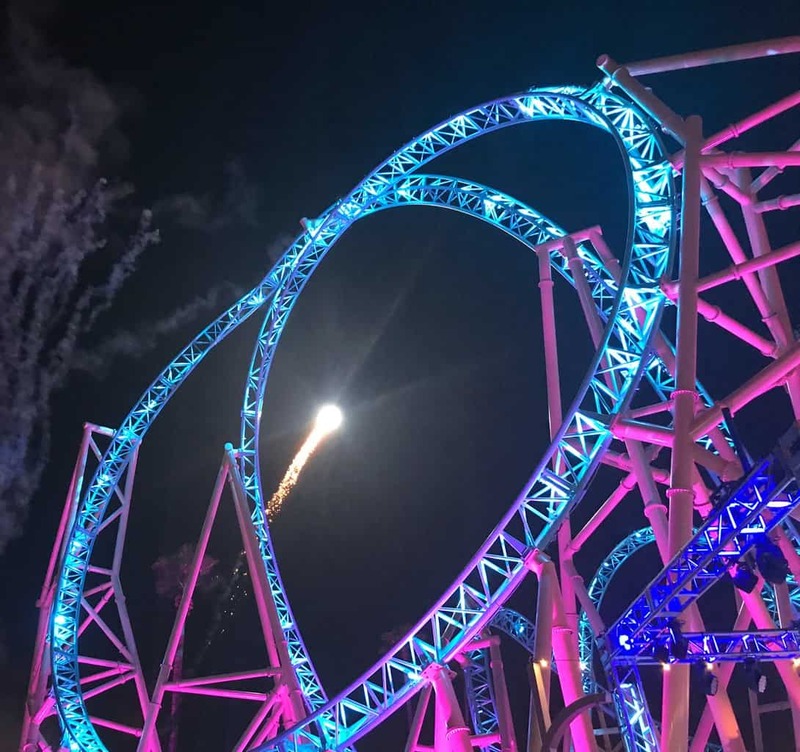 Every few minutes, as the track changed color, the audience lit up with excitement. There was a a sense of awe and wonder amongst the crowd. By far, this is one of the best productions I have ever seen at Knott’s. Now it’s your turn! 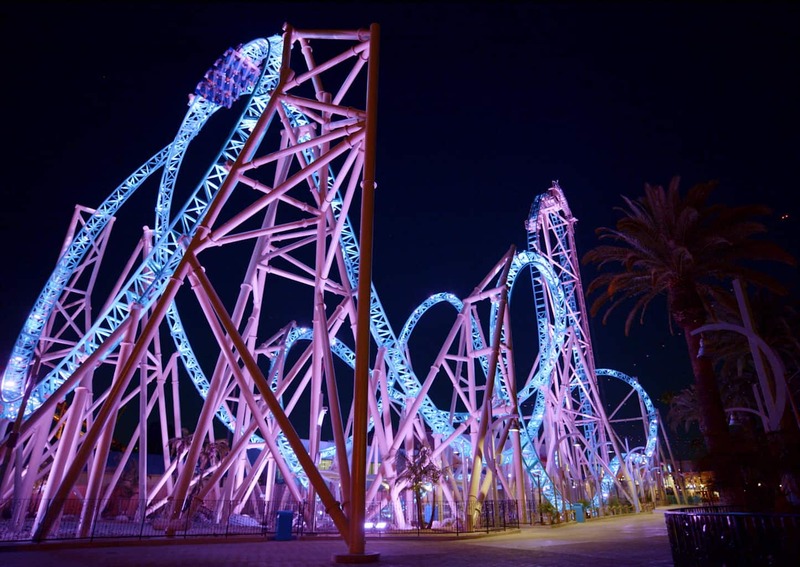 Here’s your chance to visit Knott’s Berry Farm and ride HangTime for yourself! Rules: Must be 18 or older to enter. US Residents Only. No purchase necessary to enter. One winner will be randomly selected via RaffleCopter and notified via email. Winner must respond within 48 hours to claim the prize or a new winner will be chosen via RaffleCopter. The prize package valued at $762.00 will be fufilled by the sponsor and valid through September 3, 2018. 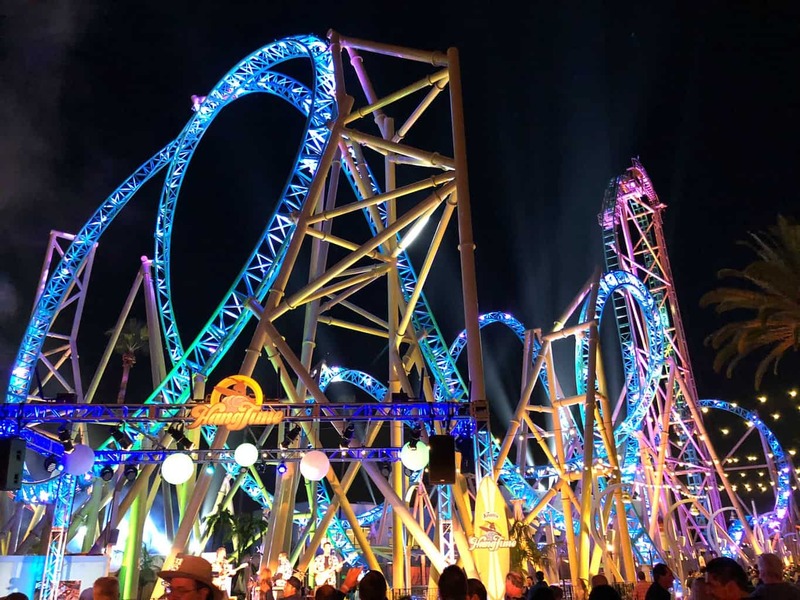 Are you looking to purchase discount tickets to Knott’s Berry Farm? My best suggestion is to purchase a Knott’s Berry Farm Season Pass. This way you can visit the theme park year round without any black out dates. Another choice is to purchase single day discount tickets to Knott’s Berry Farm on Goldstar.com for only $42.00 per person! 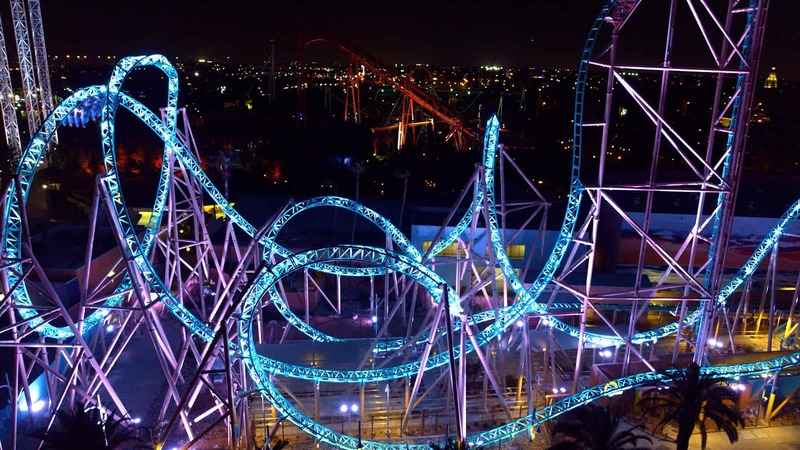 We are planing a trip to California in October and would love to add Knott’s Berry Farm to our itinerary! my kids will have a blast at knott’s. i grew up going to knott’s and have great memories! We love So Cal Field Trips and Knotts Berry Farm! I’d like to take my kids and have a fun day with them. Knott’s is so fun! I want to enjoy the funnel cakes and the great rides. My family LOVES Knott’s and would love to go! 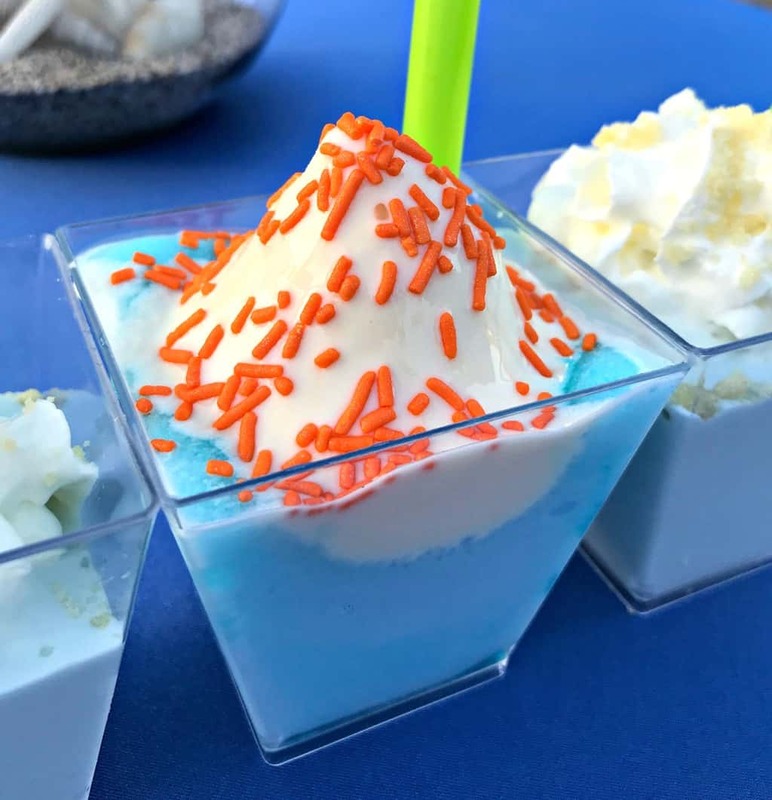 The food and rides and Snoopy! !